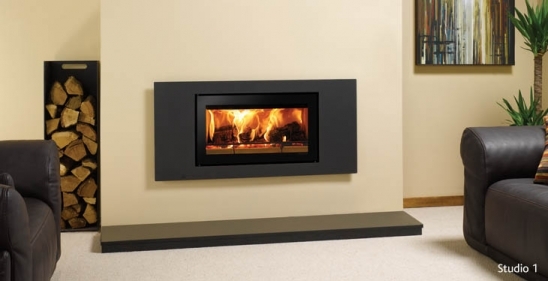 The Riva Studio is for those with large spaces who wish to create a greater presence with their choice of fireplace. Finished in Jet Black Metallic, the Studio Steel’s wide frame instantly creates a distinctive and individual focal point that can be further matched to your interior space by choosing from the four sizes available. For a splash of colour, the Riva Studio Steel can be customised with one of four additional colour frames in Metallic Red, Metallic Blue, Metallic Bronze or Ivory.